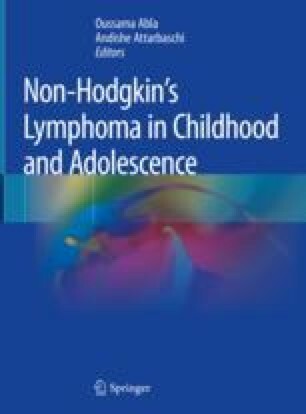 Pediatric non-Hodgkin lymphoma (pNHL) is a heterogeneous group of diseases in their morphologic characteristics, clinical behavior, biological features, and response to therapy. Understanding the complexity of pNHL and predicting which subset of patients will not respond to primary treatment or will suffer a relapse are crucial. In this chapter, we will discuss clinical and biological factors that have been found to be of prognostic significance in pNHL. The discussion will be limited to anaplastic large cell lymphoma, T-cell lymphoblastic lymphoma, and aggressive mature B-cell lymphomas, the most common subtypes of NHL affecting children and adolescents. The authors would like to thank Elisa Carraro and Erin Morris, RN, for their careful assistance in the development of this chapter.